Coming Soon! 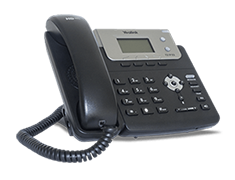 A Big Business Phone System at a Small Business Price. Greetings from Las Vegas! Ooma is here exhibiting at the 2013 International Consumer Electronics Show where we have announced Ooma Office, our first ever small business phone system. Ooma Office uses your high-speed Internet connection to deliver a high quality yet very affordable business phone system with advanced features typically found in far more expensive options. You’ll find features that include an auto-receptionist, extension dialing, voicemail, music-on-hold, ring groups, conference bridge and much more, all for only $19.99 per line per month (plus applicable taxes and fees). Ooma Office is perfect for a smaller business supporting up to 5 phone extensions, 15 virtual extensions to reach remote workers, and 10 phone lines. Here at Ooma, we believe that the size of a business should not determine phone service quality and features. Ooma Office will help small businesses save money and time while presenting themselves in the most professional way, and we’re proud to bring our consumer track record of crystal-clear voice quality and the utmost reliability to the small business community. 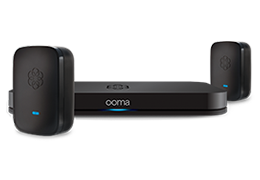 The Ooma Office starter pack will have a MSRP of $249.99 and includes the Ooma Office Base Station and two Ooma Linx remote phone jacks to support up to three phone extensions, and is expandable to five phone extensions with the purchase of additional Ooma Linx devices. Be on the lookout for Ooma Office at www.ooma.com/small-business-phone-systems/ and at select retailers later this spring 2013.